Hampshire Airfields .. Dorset Airfields Back to Home page E-Mail me! AIRCRAFT PRODUCTION LISTS.Page 3.Minor manufacturers. prototype Simmonds Spartan ,G-EBYU,in 1928. The aircraft had been built in his home in Portsmouth Road(see below). large numbers of balloons and spectators..
Involved mainly in Spitfire production during WW2. 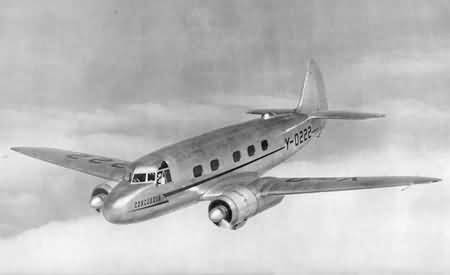 After war built Concordia, an unsuccessful attempt to enter commercial airliner market. The picture below shows Y-0222(British Class B marks),the prototype Cunliffe Owen Concordia. Bill Seward ,nephew of Roland Seward - the owner of Sewards Garage. .
SOUTHAMPTON/EASTLEIGH:5057N/0121W.Site first used for flight 1909.RFC field established in 1917. Became USNavy Air Station in July 1918 until April 1919. During 20s known as ATLANTIC PARK and used to house immigrants en route to the USA. Mainly civilian use until WW2.During WW2 used by FAA as HMS Raven. Also Supermarine Spitfire production and test flying.Spitfire production and aircraft maintenance etc by Cunliffe-Owen. Post war became fully civil again .Hard runway laid in 1966.Later named Southampton International Airport. .
most with local connections. .
SOUTHAMPTON HELIPORT:5055N/0125W: West Quay Rd  Southampton.Opened in late 1964. Operated by Twyford Moors Helicopters from 24th May 1969 to 1975 when the company folded. See picture below of the opening day. SOUTHAMPTON HOSPITALS :5056N/0127W.Helipad operated by Ambulance Service..
berth in the Western Docks 29 June 1937. This terminal was replaced by a new facility at 108 berth(grid ref SU395123) in 1938. 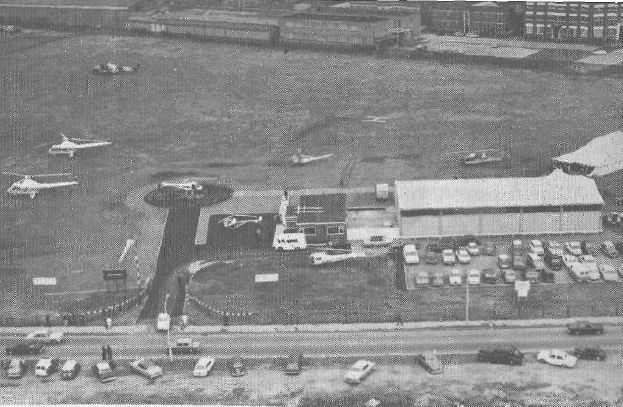 After WW2 another new terminal at Berth 50(grid ref.SU422106 )was used,initially by BOAC and later by Aquila airways. All flying boat services ceased 2nd Sept 1958..
Felixstowe flying boats in 1917/1918. .
SOUTHAMPTON - OSBORNE RD:Dickson Primaries  built a  small number of Cloudcraft Dickson Primary Gliders  at premises here  around 1930. .
SOUTHAMPTON - RED LODGE FARM:Site here used by  the Southampton Gliding Club in 1931(now the Municipal Golf course. .
Channel Mk1s to Bournemouth,Portsmouth & Isle of Wight..
River Itchen to producemarine aircraft . This became Supermarine and continued to build seaplanes. In the 30s the Spitfire(landplane )was designed and built here with flying done at Eastleigh. A new factory was opened at Itchen ,a short distance away,in 1939. The complex was badly damaged by enemy bombing in Sept 1940 leading to "Dispersed Production". Post war the plant dealt only with overhauls etc until closure..
using Sea Eagles started 15 Sept 1923.Later services operated by Imperial Airways.Ops ceased 28 Feb 1929. .
Simmonds Spartan in his lounge and bedrooms in 1928. In order to get the plane out of the house,all the door and window frames had to be removed from the front of the house .
" 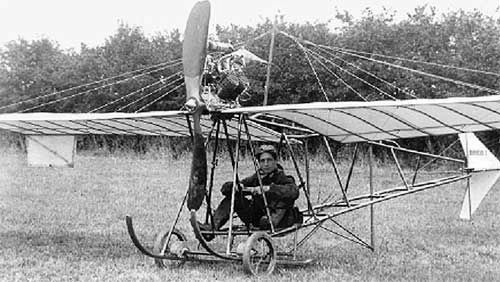 Moonbeam" single seat monoplane here. 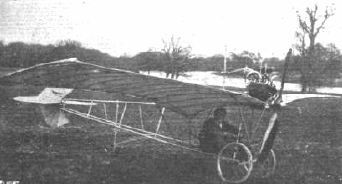 as a 24ft span monoplane with aJ.A.P. 4 cylinder 20 HP engine.Weight approx 260lbs. He claimed to have made  several satisfactory flights. In the pictures below the upper  picture is probably  the  plane in it's  original   configuration.